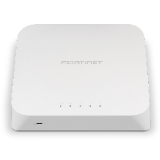 FortiAPs are thin access points, delivering secure, identity-driven WiFi access for your enterprise network, managed centrally by the integrated WLAN controller of any FortiGate® security appliance. They can also be managed by FortiCloud. With the integration of the wireless controller functionality into the market leading FortiGate appliance, Fortinet delivers a true Unified Access Layer. This enables you to easily manage wired and wireless security from a Single Pane of Glass management console and protects your network from the latest security threats. 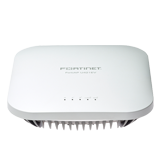 The FortiAP 421E and 423E access points support the latest 802.11ac Wave 2 standard, with a client association rate of up to 1.733 Gbps when using 80 Mhz channels. 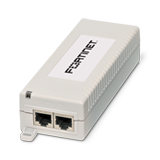 Additional features include 802.11ac explicit transmit beamforming (TxBF), multi-user MIMO (MU-MIMO), and more. 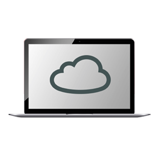 The combination of the 802.11ac Wave 2 standard and these advanced features means better client data rates over greater distances, and ultimately a better user experience. Integrated WIDS and Rogue AP Suppression Protects the network from advanced wireless threats and satisfy PCI DSS compliance with the integrated Wireless Intrusion Detection System and Rogue AP detection and suppression features.